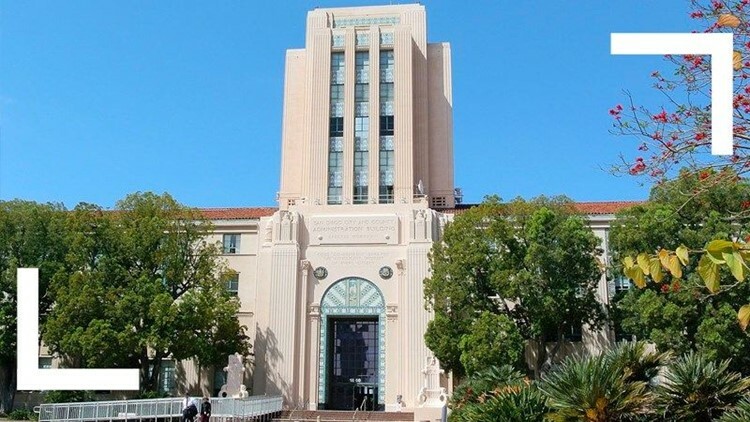 The San Diego County Board of Supervisors voted Tuesday to sue the Trump administration over its handling of asylum-seeking families. SAN DIEGO (CNS) - The San Diego County Board of Supervisors voted Tuesday to sue the Trump administration over its handling of asylum-seeking families. The decision was reached in a closed-door session. Supervisor Kristin Gaspar was the lone vote against filing a lawsuit. A Department of Homeland Security representative did not reply to a request for comment on the board's decision, which comes after a recent vote to open a shelter to temporarily house migrants going through the asylum process. Jacob said the lawsuit is an effort to hold the federal government accountable for failing to ``consider the impact of its own actions on public health and safety,'' which has included separating migrant children from their parents. Supervisor Nathan Fletcher released a statement supporting the decision to sue. Gaspar this evening released a statement criticizing the board's decision. ``In an unprecedented maneuver today, my colleagues voted to hastily sue the federal government,'' Gaspar said. ``This was done without any input from county staff, who was not given the direction or time to do any meaningful research or outreach to the agencies involved. ``The gains we have made with regard to assisting our asylum-seeking families are now mired in a clumsy lawsuit that we have no chance of winning. I believe our federal immigration system needs major reforms, but I simply cannot put taxpayer dollars at risk for political posturing. I prefer to focus our time and efforts on real fixes rather than legal grandstanding." Supervisors Greg Cox and Jim Desmond declined to comment on the board's decision.